The car should have a spare tire in good condition, a jack, lug nut wrench, fire extinguisher, and a flare or reflector. If any of these are missing DO NOT accept the vehicle. Double check to make sure this equipment is in the trunk before you actually drive off. A common scam is toremove the spare after you have inspected the car; then they charge you an outrageous penalty for returning the car with no spare tire. If you park illegally in Mexico, the police will take your front license plate. 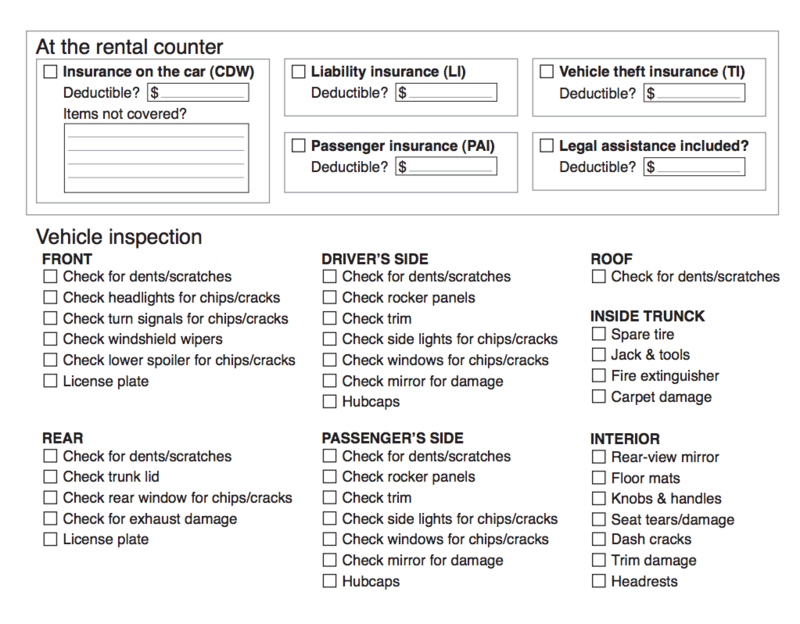 When you return a rental car without a plate, the company will charge a substantial fee that will cover their expense involved in getting the plate returned. But, many agencies never try to find the plate, they just leave it off the car and continue charging people for a missing license plate. DO NOT accept a vehicle that does not have both plates SECURELY attached. Check for cracks or chips before you leave and make note of even the smallest flaw. We had an agent try to charge us for a tiny rock chip in the windshield upon return. Luckily, we had marked it on the rental agreement (windshields and tires may not be covered, even if you purchase full-coverage insurance.